Interesting article by Robert Cringley called, War of the Worlds: The Human Side of Moore's Law. He writes about how technology is forcing education to change and how the institution of education is resistive. His basic premise is that technology could by-pass this whole education thing if there were a standard way of certifying knowledge. 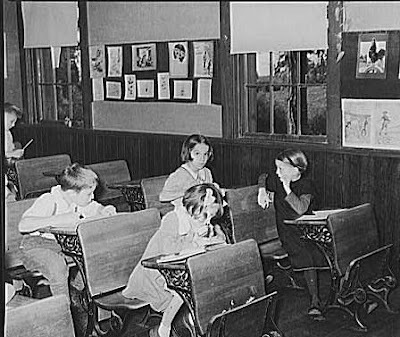 For instance, if I can prove that I have the skills and I have a document to prove it and I can get it in alternative ways to sitting in a classroom, why do I need to go to school? "I've written about this for years and nobody ever paid attention, but ISO certification is what destroyed the U.S. manufacturing economy. With ISO 9000 there was suddenly a way to claim with some justification that a factory in Malaysia was precisely comparable to an IBM plant on the Hudson. Prior to then it was all based on reputation, not statistics. And now that IBM plant is gone. Well reputation still holds in education, though its grip is weakening. I know kids from good families who left high school early with a GED because they were bored or wanted to enter college early. Maybe college is next." Sweet Home Alabama like you have never seen before as performed by the Leningrad Cowboys (from Finland) with their back up group, the Red Army Choir. Saw this car on a TV commercial and did a little looking on the web to get more information. 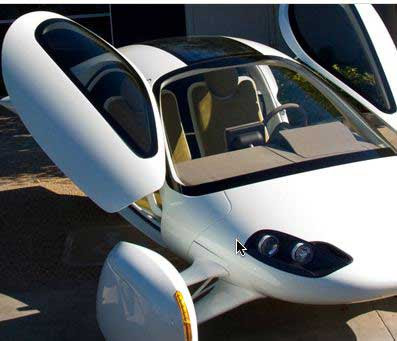 It's an Aptera electric vehicle and should be available for purchase next year in California. Found this Youtube video put together by Popular Mechanics that has the CEO explaining all the design features. The video could be used as a lead-in to many different kinds of classroom discussions and activities: design, form-vs-function, environment, transportation, etc. Or forget the kids and give your inner-geek a little treat and watch the video. I knew a teacher years ago who was working on developing Computer Assisted Instruction modules. He felt that eventually machines would replace teachers. Initially, he had me convinced. Then I worked through some of his modules and wasn't overly impressed. I've worked with some other products over the years and always felt they were inferior to "live" instruction. Good for drill. An additional tool for teachers. But no replacement. I have very self-righteously stated on more than one occasion that "machines can never completely replace a teacher." I'm not so sure anymore. I haven't seen a killer program that changed my mind. But, I've been watching the steady progress in computers and programing over the past twenty years. It may not be that teachers are replaced but that education and learning change so much that they don't fill the same role anymore. Today I read a post by Kevin Kelly on The Technium that discusses the number of professional skills that have been Turing'd . 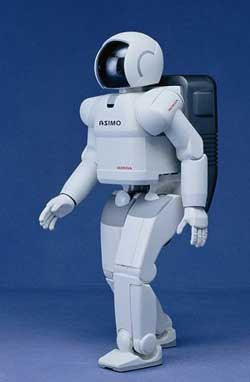 This term refers to the Turing Test, proposed by Alan Turing back in the fifties. The test involves a human judge communicating with a computer and a human. If he can't tell the difference, then the machine has passed the Turing Test. If a skill or occupation has been Turing'd, it means a machine is able to do it as well or better than a human. Kelly's main point is that professionals that have been Turing'd are more willing to accept new technologies. Teachers as of yet, haven't been successfully Turing'd. Using his line of reasoning, this helps to explain why we educators as a whole are slow to adapt to some of these new technologies. How long do we have before we get Turing'd? When I came to my current school district about ten years ago, it was against the rules to post a picture of any student online unless you got written permission from a parent. Needless to say, we had lots of school web pages with few pictures of any actual students. 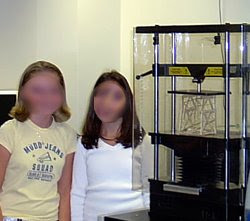 I spent a lot of time blurring out the faces of any students I posted on my class site. My district has since become a bit more liberal in their internet policies. If I were running a tech lab now, I think I'd post class related pictures weekly. If not on a school website, than on a classroom blog. 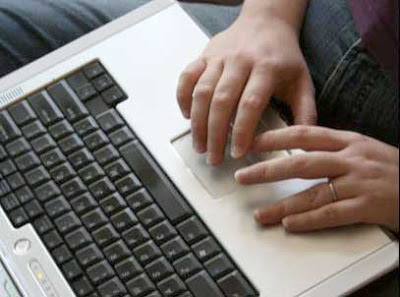 Kids could prepare their web page or photos for posting. They could share their work with friends and parents without dragging them into the tech lab. I'm going to be teaching a beginning multimedia class for ninth graders next year and I am already starting to think how I will be displaying their work online. This all leads me to today's link. Brad Moon writes on GeekDad about seeing his elementary age daughter's project posted on YouTube. I thought it was interesting to read a parent's perspective. Don't forget to read the comments from other parents. I was a little curious about popsicle stick bridges after writing about one last week. A young reader asked me if I had any specs (strength, etc) for popsicle sticks. I had a reference like that once but it was in a book, in a lab, that I no longer have access to. Can't recall the title...sorry. Although, creating a table of specifications would be an interesting activity for students to do before starting the actual building. I went to Google to see if I could find some interesting sites that might be useful to young builders. Here are a couple that I found after an evening of searching. 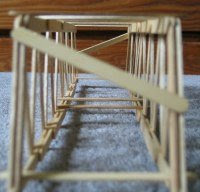 I like this site, Model Bridge Design, put up by a young man named Garrett Boon. He has been building bridges for seven years and participated in many contests. He is a bit of an entrepreneur and is selling some of his more successful designs. But, I think you can get plenty of ideas and good advice from browsing his articles without buying the plans. Don't forget to check out his link page. Judged by weight held? Weight of bridge? Ration of the two? Does there have to be a road bed and if so, does a model car have to be able to move across it. 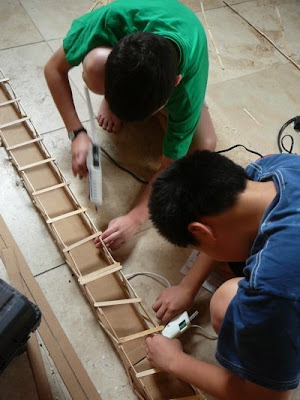 Without any guidelines, I've seen students build solid blocks made of sticks and glue that were immensely strong, but used little in the way of design. I'd also recommend coming up with a method other than standing on the bridge. It's hard to adequately explain to your principal or to a parent how a child sprained an ankle in your tech class as part of their assignment. For large bridges, we used cheap weight lifting plates I bought at a sporting goods store. I got over 40,000 hits using the search term, "popsicle stick bridge." A lot of the sites were either too technical or relied on a lot of written description with no pictures or diagrams. If you are getting ready to do a project like this in your classroom, there are lots of resources available. Just be ready to sift through to find the good ones. If anybody has a site related to this topic they'd like to reccomend, please add it to the comments. Fun mashup created from old kitchen commercials. Back in the dark ages when I was teaching Social Studies I was developing a multi-disciplinary lesson with a Science Teacher, Mr. Mancini. We were creating a scale model of an environmentally friendly community and I thought it would be great to have the kids build models of the buildings and terrain out of clay. We had no budget and after pricing the cost of some of the building materials, I was ready to scrap that idea. 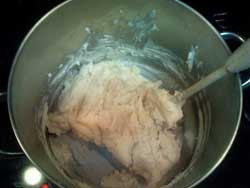 Mr. Mancini had a recipe for a clay like substance whose two main ingredients were flour and salt. I made up a batch and it had the consistency of PlayDough. It cracked a bit when it dried but otherwise was perfect. It held its shape and could also be painted or the dough could be made in different colors using food dyes. I was looking for this recipe the other day as a possible rainy day activity for my nephews. Mr. Mancini has since retired and is sitting around sipping cappuccinos in an outdoor cafe somewhere in Italy. Even if I could contact him, I doubt he carries that recipe while he travels. So.....I did a Google search and came across this recipe on Geekdad that looks to be the same as the one we mixed up those many years ago. I love the internet. I remember building land form maps in my Junior High Geography class using flour paste. It cracked and crumbled and mine didn't survive the walk home. This doughy stuff works so much better. It is a handy formula to keep bookmarked. About 8 years ago, I took a great workshop in Colorado built around Logo and and Lego through the Logo Foundation . It was my first real exposure to Mindstorms. I took many ideas back to my technology lab after that summer including a whole unit on Robotics inspired by the workshop. One of the cool things I was taught by the facilitator was modding Lego pieces to create a light sensor. This was something I taught some of my eighth graders to do and we always had a nice supply of inexpensive light sensors to use in our projects. 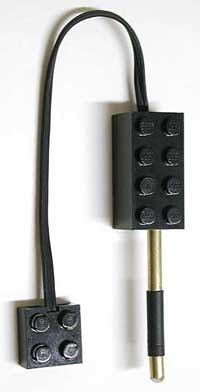 This article on building a Lego temperature sensor made me think of that workshop. The instructions are clear and there are lots of pictures. I wish someone would write a book on modifying Lego pieces. I know there are purists out there who think the bricks should never be tampered with, but if I can get a student interested in electronics or design by letting them go at a Lego brick with a Dremel tool, then I think it's worth it. My tech lab had a station dedicated to puppet building. Puppets are a fun way to experiment with simple machines. A puppet mouth is usually designed around a lever. Arms and eyes are usually controlled by a linkage of some sort. Marionettes and shadow puppets have pretty complex mechanisms controlling their movements. Anyway, after that experience, I was hooked using puppets as an educational doorway to the wonderful world of technology. 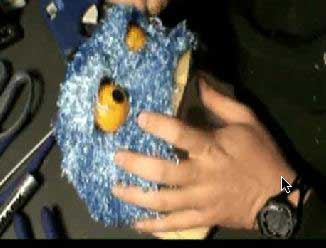 I was pleased to discover this blog dedicated to puppet building and I've linked to a video from the site that demonstrates how to make blinking eyeballs. After writing about tearing a banjo down last week, I ran across this post on Make that had a flickr stream detailing all the steps to building a wooden banjo. Fascinating. I tracked down the fellow who posted the pictures and he sells handmade banjos out in Massachusetts. His site is fun to browse and if you are interested in instrument building, his blog is filled with information about his methodology. 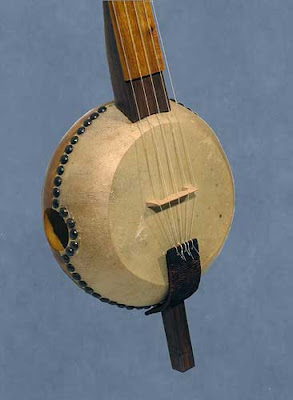 Someday I am going to build a gourd banjo. I am pretty sure it is my destiny! I love this cat. I think he used to live at my house. I'm a big supporter of folks tearing things apart in order to see how they work. The problem is that sometimes they don't work so good after you put them back together again. No one said learning was going to be easy. I make it a habit not to tear anything apart that I will need to use within the next six months. This is also a condition of me remaining happily married. So, I was in awe of this photo from Patrick Costello's Tangier Sound, a great website for all you banjo, guitar and harmonica players. Or wannabes! (I'm a big fan of Patrick's site and I visit it daily for an online lesson.) 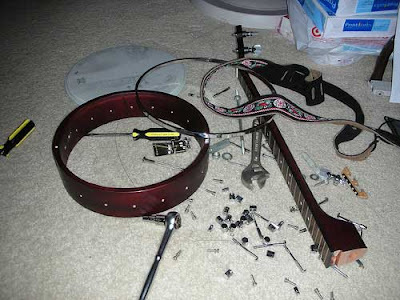 Steve, one of his readers, tore down his own banjo to all it's itty-bitty parts and sent in this picture. He got it all back together again and posted a video of the rebuilt banjo being played. There were no pictures (or video) of a grown man weeping into a crumpled banjo strap, so I am assuming it went back together without a hitch. I don't have the nerve to do this with my precious banjo. Maybe my neighbors banjo......but not mine. Interesting and thoughtful article by Mark Edmundson, a professor of English at the University of Virginia. He discusses this generation of multi-tasking, digitally connected learners. Two things I liked about this article. First, his description of today's learner. "Now students in almost any classroom can get directly onto the Internet and, given the shield like screens on their laptops, they can call up what they like. Especially in the big lecture classes now, everyone's flitting from Web site to Web site, checking e-mail, and instant messaging. Do they pay any attention to the class? My students tell me that they're experts in paying attention to many things at once: It's no problem at all." Second, his argument for exposing students (in his case college kids) to various authors and different points of view. "The ultimate reason to read them is to see if they may know you better than you know yourself. They may help you to cut through established opinion — doxa — about who you are and what the world is. They may give you new ways of seeing and saying things, and those ways may be truer for you than the ones that you grew up with. Genuine education is a process that gives students a second chance. " Read the article and see if you agree with his final conclusion. I suspect those of us who are above a certain age will and those who are younger will not. When I was a kid I always wanted to redesign my room. I wanted to sleep under my bed. I wanted to create a mini-bedroom in my closet. I constructed tents over my bed and at one point suggested at the dinner table that I could build a permanent structure over my bed using scrap lumber. My mother said no. Another time, I wanted to put everything I owned on the floor and get rid of my bed stand, chest of drawers and tables. My dad said no to that one. Once after watching an old Dracula movie, I talked for days about getting an old coffin (used?) and creating the most amazing bed any boy could ever want. I'd be the envy of the neighborhood. Not sure if my parents put an end to my dreams or I finally got a price list for a coffin and realized my allowance didn't quite cover the cost. 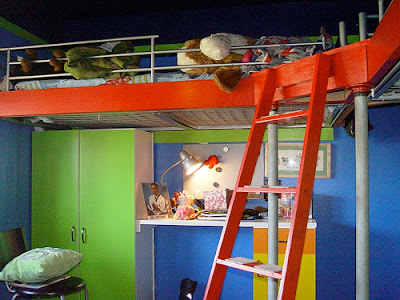 So, I was green with envy when I saw this bedroom hack posted on Geekdad. What I really love about this setup is all the floor space created by elevating the bed up off the ground. After reading about this I am thinking about bringing up the coffin-bed idea with my wife. We'd be the talk of the neighborhood! 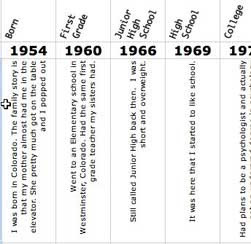 I was helping my wife with a work-related presentation she was creating this past weekend and she needed a timeline for one of her Powerpoint slides. I was eager to try one of the online timeline programs but none quite did what she wanted. In searching for a way to make a simple timeline, I stumbled across this tutorial that uses an Excel spreadsheet. It's easy and easily modified to fit your needs. Social studies teachers (and students) should love this one. I put together a quick overview of my life in less than ten minutes. Imagine what you could do with some real content. Since writing about popsicle bridges yesterday, I've been thinking about all the trash we recycled in my tech lab as supplies for building and prototyping. My students had a material list of items to bring in that was a bit unusual. They had to scrounge up a paper tube (paper towel, wrapping, etc), a small box (cereal, soap, Rice-a-roni, etc) and a clean tin can or a wire hanger. I had piles of this stuff that kids could then use in their projects. Students built robot heads out of cereal boxes and animated them using the pneumatic devices we had at one station. Students building mousetrap cars for their science classes came in after school to try out different ideas using my "junk" before cutting into their store bought materials. My favorite example is when I took my 8 year old nephew in one afternoon and set him loose in the construction area with a small electric motor while I graded some assignments. With just a little help from his uncle, he built a small working vehicle by the time we left. The chassis was made from the box for a bar of soap. The axles were made out of a clothes hanger. The tires were cut out of a piece of thick cardboard. It wasn't pretty but it worked and he built it. I guess my point is that it doesn't take a big budget to get kids some hands on building experience. Let kids build. Let them fail and not worry about the cost, cause eventually they will build something that works. I think these are all good things. Good for kids. Good for education. When I was a kid, I spent hours building damns out of dirt and sticks in the gutters on the street where I lived. I created complex series of pools connected with sluices that collected the water coming down the street. I experimented with ways to keep the dirt structures from being washed away. I created simple water wheels. I floated small paper boats. I ran out into rain storms to see how the damns held up under the deluge of rain water. The neighbors always said that Gunn kid was either crazy or would be an engineer someday. I became a teacher......so I guess that means crazy? I read GeekDad the other day and Kevin Kelly posted some pictures of a popsicle bridge his son, along with a friend, had built at home. For around $12 (my guess at what the supplies would cost at my local craft store) the boys built a bridge that was able to span ten feet. In my lab I'd challenge kids to build the bridge and then we'd see how much weight it could support before collapsing. The cool think about glue guns is that a couple of sixth graders can build a bridge (shorter than ten feet) in a single class period. This gives them an opportunity to build more than one bridge and improve their designs. The first group builds a 1 pound bridge that can hold, oh say two pounds, and the race is on between each group that follows to build theirs stronger and lighter. Each bridge was photographed before testing and then with the important data included was put up on my classroom wall. If I were doing this now, I'd post them on a classroom blog. 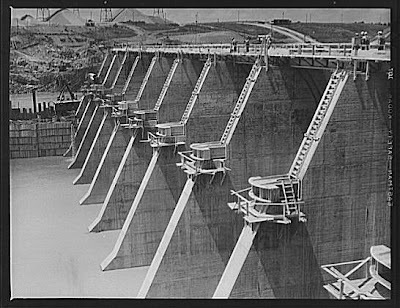 I had books and other resources on bridge building laying around the station and while the first group may only have glanced at the pictures, later groups would ask to check the reading material out over night. I know of several groups that met on the weekends to build and test their structures. For best results, I would recommend letting the bridges sit and completely dry overnight (or at least a couple hours). Otherwise, the glue is still pretty elastic and instead of a satisfying break and crack when testing the weight load, the bridge slowly bends to the ground like silly putty. I had great success with simple bridge building in my tech lab. It taught the kids to use some simple tools. It taught them to problem solve. It taught them to work as a team. It was a fun place to start talking about some basic engineering principles. I might note that over the years I used other materials: toothpicks, balsa wood, paper, and straws. One year we had a bunch of Knex donated to the lab and I let them build and test the strength of their structures. I should warn you that you will break at least one or two Knex pieces each time you test. Still, I think popsicle sticks and glue guns were my favorite. The beauty of a project like this is that it, as shown by the pictures on GeekDad, can be done at home. I had a parent tell me her son loved building the bridges so much that she wanted to buy him the same kit we used in the lab for his birthday. I explained that I went to the craft store and bought popsicle sticks and glue guns. He came in a week later and told me that he had a great birthday that year! Last year I bought a book on web design through Sitepoint and in the process got on their mailing list. This led to me getting an announcement recently about the launch of an online CSS reference site they've created. I've been poking around the site this past week and have found it informative and interesting. 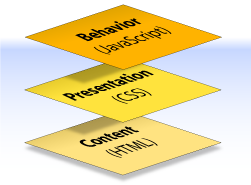 It would be a helpful site to bookmark for yourself and for your budding web design students. Good reference tool. Little to much for most middle schoolers but a high school student would benefit from having it available. Take a look. Google bought JotSpot, an online wiki service, over a year ago. It has been googlized and was re-released last week as Google Sites. You've probably already heard about this as it seems to have a post everywhere, but if you haven't here are a few links to help you explore this new wiki product. And the introductory video they have on their home page.